Huawei’s ongoing attempt to become a major player in the UK phone market is getting a significant shot in the arm next month as the company brings its Ascend P2 mobile to the UK. The company says that the mobile is the most highly-specified and high profile smartphone Huawei has so far announced for the UK market. So why the buzz? Well it is a high-end smartphone with a very decent spec.It is super slim (its frame is 8.4mm) and sports a 4.7inch Corning Gorilla® Glass screen. It headline feature though is that Huawei claims it is the first smartphone to launch in the UK that is compatible with ‘Category 4 LTE’ networks. This means it will work with the upcoming even faster 4G networks that networks will launch in the future. 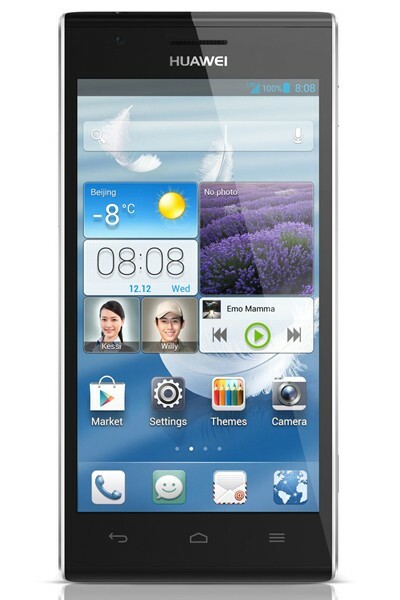 The Ascend P2 also boasts a 1.5GHz quad-core processor, a large 2420mAh battery, a 13 megapixel camera with HDR, and a 1.3 megapixel front-facing camera to support self-portrait and video shooting. There’s also a dedicated camera key on the side of the phone which enables one-click to activate the camera from stand-by, and two to take the shot. It runs Android 4.1 OS and is available in black and white in June.